Finding a good primer that actually works for oily skin is such a challenge and for that reason I had kind of given up on it all together. I stuck to pore-filling primers like Benefit's Porefessional, Dr Brandt's Pores No More, NYX Pore Filler and Maybelline Baby Skin Instant Pore Eraser as every oil control primer I tried let me down completely. See my review of NYX Shine Killer* for a demonstration of that. Luckily so many bloggers and friends have recommended a multitude of primers to me that they swear by and I have accumulated a list of the absolute BEST primers for oily skin for all budgets. Of course, you know I am on a spending ban so I didn't buy them all but I gave every single primer mentioned in this post a full day's test. First let's get to the primers I own that have impressed me beyond belief. Becca Ever Matte Poreless Priming Perfector* (£28) This primer is a product a lot of oily skinned girls and boys swear by. It has mixed reviews but this is a fantastic mattifying primer if used correctly. The trick is to use a tiny pea-size amount of product, let it warm up on your fingers and then pat it into the skin. If you rub it in instead of patting it into the skin the primer can ball up on itself and if you use too much can make the skin even oilier. Once patted in the skin is smooth and instantly matte. 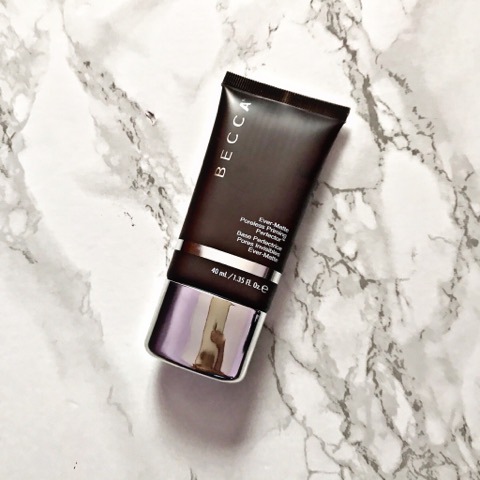 The primer acts as a barrier preventing the sebum from seeping into the makeup. I love using this just on its own and set with powder for a matte face all day but find it works fantastically with all foundations. Highly highly recommend. 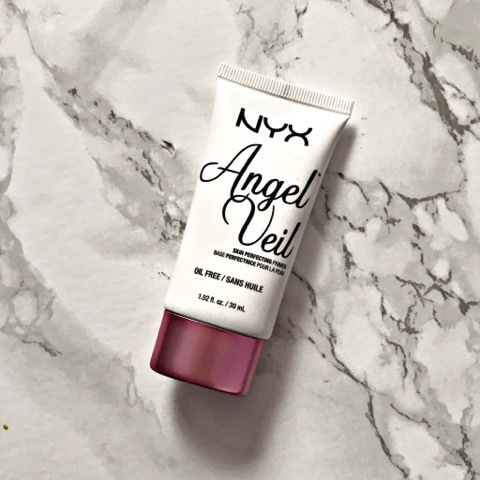 NYX Angel Veil Skin Perfecting Primer* (£13) So many bloggers have told me that this is their holy grail primer and now I see why. 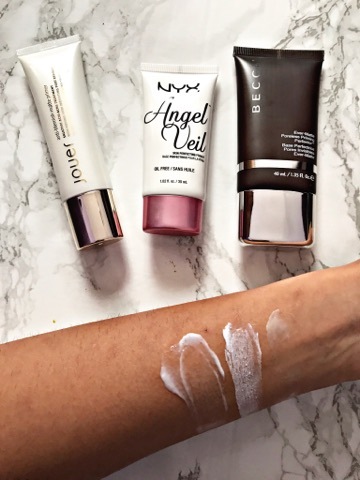 Touted as a dupe for the incredible Hourglass Mineral Veil which is a favourite of many, Nikkia Joy swears by Mineral Veil for oily skin, the NYX Angel Veil is a fraction of the price. It does leave a slight white cast on application but that soon disappears. I have no idea how this works but it just does, my makeup lasts so much longer and my oil comes through much later in the day. A great primer for most skin types I would say. Jouer Anti-Blemish Matte Primer* (£29) Last but not least and a total surprise for me is the Jouer Anti-Blemish Matte Primer. 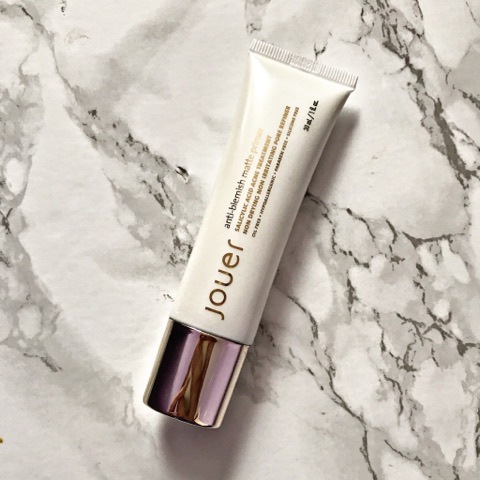 I hadn't tried anything from Jouer Cosmetics until Cult Beauty kindly sent this to me. This primer possesses a brilliant list of ingredients including salicylic acid and witch hazel to help with breakouts. It both treats my spots while keeping my makeup on for a longer duration. I find it does make my skin matte as well. Definitely a primer I will repurchase especially as I have a multitude of breakouts going on at the moment. Of course, there are plenty of other great primers available for oily skin. These are just the ones that have impressed me the most. 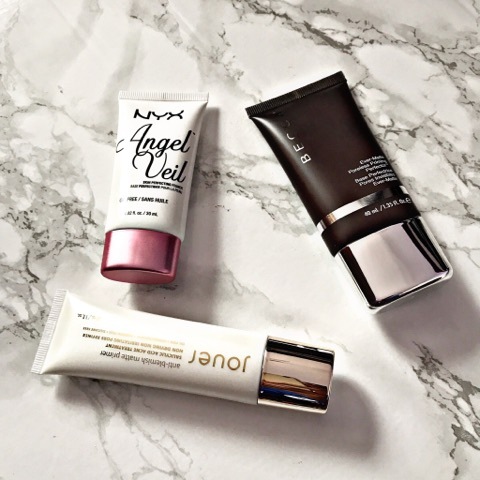 Hourglass Mineral Veil is a general favourite, Makeup Forever Step 1 Equaliser Mattifying Primer is fantastic for keeping oil at bay and I also really like Rimmel Stay Matte Primer. The whole Rimmel Stay Matte line is a dream for oily skin in my opinion. 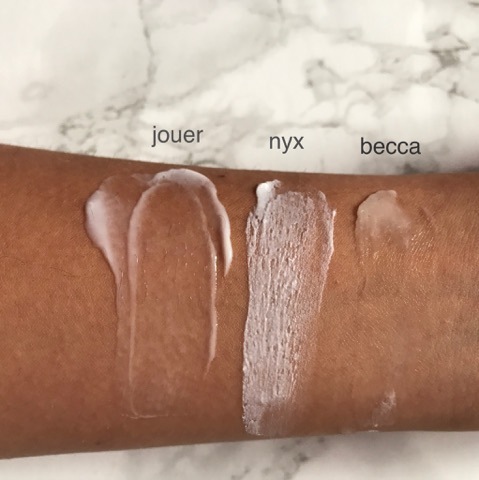 Out of Jouer, NYX and Becca. the Becca Ever Matte is the best for really oily skin, Jouer Anti-Blemish is perfect for acne prone oily skin and NYX Angel Veil seems to be one of those mystical primers that seems to work for a lot of different skin types. I am so happy with these three and now instead of skipping the priming step I look forward to applying one of these beauties because I know it takes my makeup to the next level. I am wearing my makeup from 7am on a weekday until I wash it off at night so I really get to test out the wear and impact of makeup because I am such a late sleeper. Typically testing each product out over seventeen or eighteen hours. With all of them I would say less is definitely more, you don't need a lot for it to work. Thank you so much for reading, these primers were sent to me by Cult Beauty but I was in no way obligated to review or include them in the post. 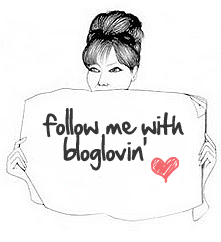 I would love to hear about your favourite primers because I always want to hear about products that you love and swear by. Getting older makes me realise how much I need to keep track of my spending and I have no patience for subpar products anymore. 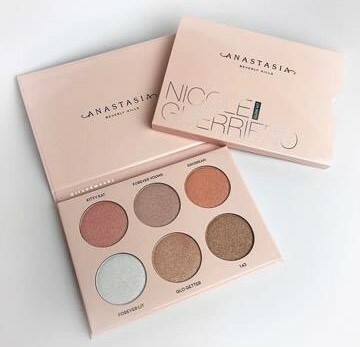 I don't feel the need to rush out and get the latest collab after blowing a tonne of money on the Morphe x Jaclyn palette. I only want products that will elevate my makeup. Thank you for your comments, I hope you had a lovely week and I wish you an even better weekend. Take care. Even though, my skin isn't oily (and I rarely use primers), I like the sound of the Jouer Anti-Blemish Matte Primer, just because I feel like the Salycilic Acid could help me on bad skin days, but lovely picks overall! 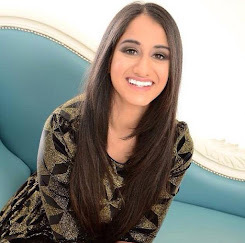 I absolutely love Angel Veil and have been using it a lot recently too! I agree, it's strangely amazing for all skin types and I often recommend it to my customers. I love this post so much, I've always wanted to try the Nyx one, I currently use a primer from Urban Decay. I think I am going to give this BECCA primer a go. Someone said that if I wanted the armani foundation I have to work I should wear a primer. The formula pic on your arm makes me think I would be more happy with the BECCA primer as well as your review! Such a brilliant post. I love the look of the NYX one! Sometimes I'm oily and then other times I'm dry! Can't win, so I need two! Gaaa! I love my Laura Mercier primer but the Pixi Glow Booster is also super good! I have dry skin but will share will other who have oily skin. 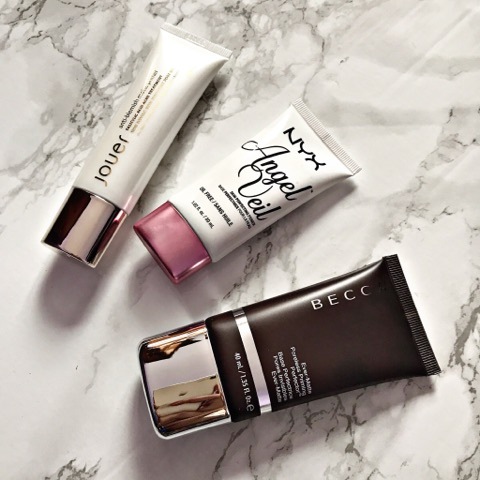 I love Becca products! I love the becca primer. Thank you for sharing your review. I don't have oily skin, but I really do like the NYX primer! I just bought a back up recently because I love it so much! I love the sound of the Jouer one with all the added skincare ingredients! Angel Veil!!! I've really wanted to try that one, along with some of their illuminators. And then I realized I barely use primers except for under my eyes if I'm going to have makeup on all day since I noticed it breaks up around there the most. The too faced hangover rx primer works for me around the eyes! It's a moisturizing primer and I've repurchased it a couple time, though I think I like it so much because I have dry skin. Even though the Hourglass Mineral Veil is supposed to be mattifying (and better for oily skin), I have dry skin and I love it! Nyx angel veil is no doubt amazing, haven't tried others but they sound great too. I've been on the fence about buying the NYX Angel Veil for ages but i'm fed up of not using a primer so i'm going to go right now to the boots website, thanks for much for this helpful review!! I've heard the Angel Veil is a really good dupe as well! I haven't tried any of these out since I actually have dry skin, but they sound great. I enjoy the Smashbox Photo Finish Primer for myself, but honestly once I run out I think I'll try sans primer for a bit! I used to really love the Laura Mercier Hydrating Primer, but I've found that the YSL Touche Eclat Primer works even better and helps smooth out pores at the same time. For sebum control I swear by the Sofina Primavista Ange Long Keep Base, which I picked up on a whim in Japan but is incredible for humid summer days! It's really hard to find here in the US though, so I'll have to check out the NYX Angel Veil! Thanks for the reviews! I really need to try the NYX one since it's the only one I can buy on a physical store. I am new makeup line. As I did recently my makeup lesson by Lina Cameron . I am using L'Oreal one, which feels great on my skin. I am willing to purchase a high-end one. I got very sensitive oily skin, with large pores and acne. Which one I should go for Smashbox one or Becca?